Durham, NC – A couple of weeks ago I agreed (wholeheartedly) to help captain a virtual team for this year’s Miles 4 Meso race in Alton, IL. TODAY I REGISTERED!! And I hope you will too. To make it easier – and possibly more fun, especially for my local peeps – I’m offering to donate another $5 for anyone joining me Saturday September 27th at 8:30 am at Durham’s Northgate Park! 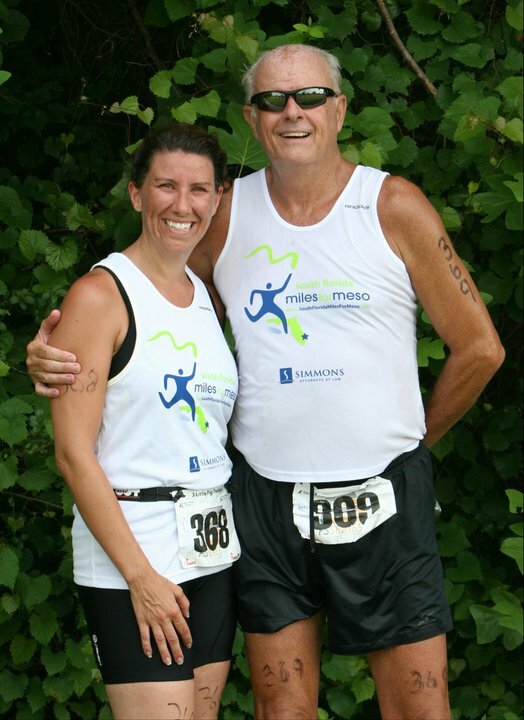 For each person who makes the commitment to come out and run or walk with me in honor of Mesothelioma Awareness Day & the 6th Annual running of the Alton, IL Miles 4 Meso event, I’ll donate to the cause in your honor. *If you bring your dog, I’ll donate another $5! 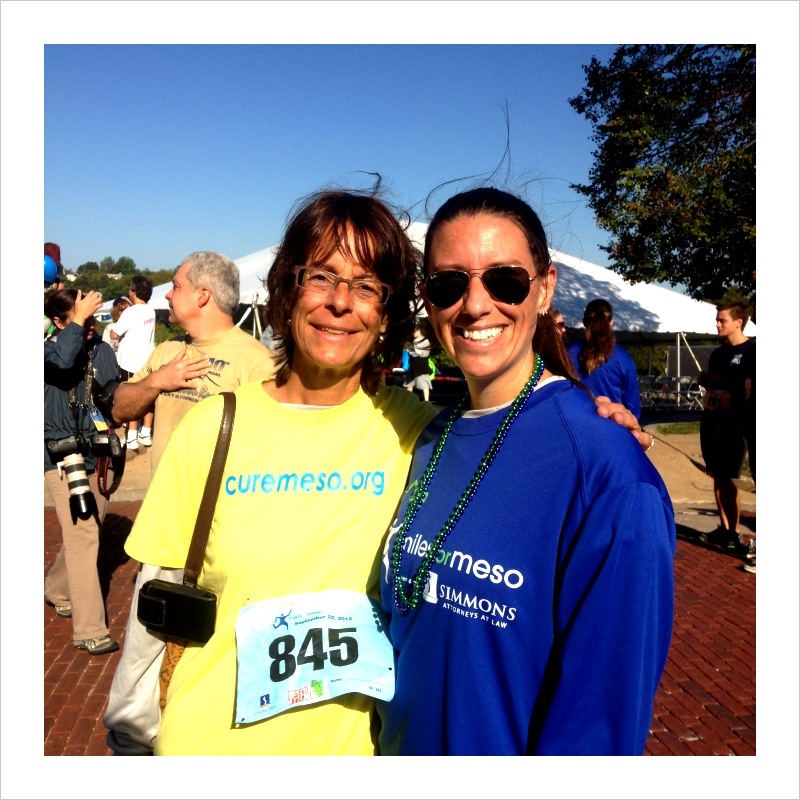 Meso Awareness Day is actually September 26th. 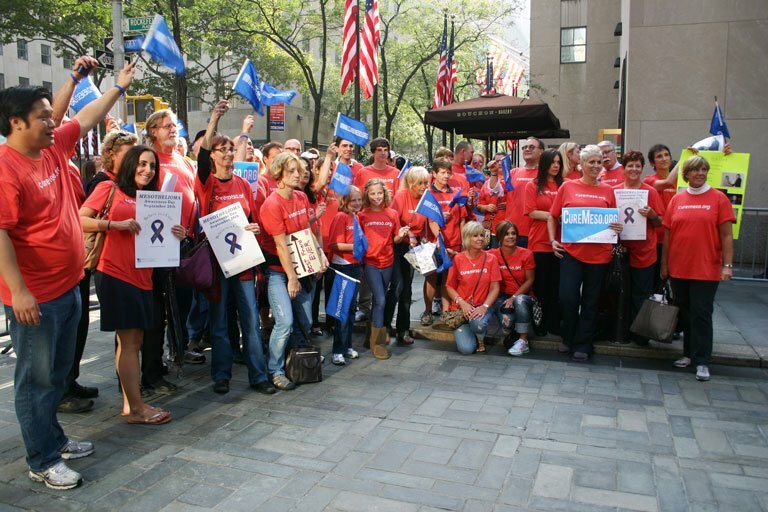 The day will most certainly be marked by Mesothelioma Awareness Research Foundation Warriors in Times Square, as my father joined in while he was alive. The weekend of MAD he would also try to run the Simmons Hanly Conroy race. So in his honor I will try to run, or at least walk, a planned course in the Northgate neighborhood (300 West Club Blvd). YOU can register for the ADAO Mesothelioma Warrior Virtual Team. I signed up and created the group Durham Davis’s and added I was running in honor of Larry Davis! ** Also, if you join me, in addition to donating $5 to ADAO for you, I’ll provide Saturday morning snacks at my place!